The Arsenal Supporters’ Trust will continue to oppose any moves to take the club into single ownership and urge Alisher Usmanov not to sell his 30 per cent stake to majority shareholder Stan Kroenke. Reports suggest Kroenke Sports Enterprise UK are set to offer some £525million to buy the 18,695 shares held by Usmanov’s Red and White Securities Limited. While Usmanov has always stated he would not be willing to part with his stake in the Premier League club, the second largest individual shareholder has not been given a seat on the board and it appears unlikely that situation will change. Russian businessman Usmanov has previously made a formal £1billion bid to buy Arsenal, which led to a statement from KSE UK in May 2017 re-affirming their position that the “shares are not, and never have been, for sale,” adding Kroenke’s organisation was “a committed, long-term investor in Arsenal and will remain so”. Press Association Sport understands the AST has already initiated contact with Usmanov’s representatives following recent reports he may now be set to sell up and will stress the importance of his role in providing accountability. 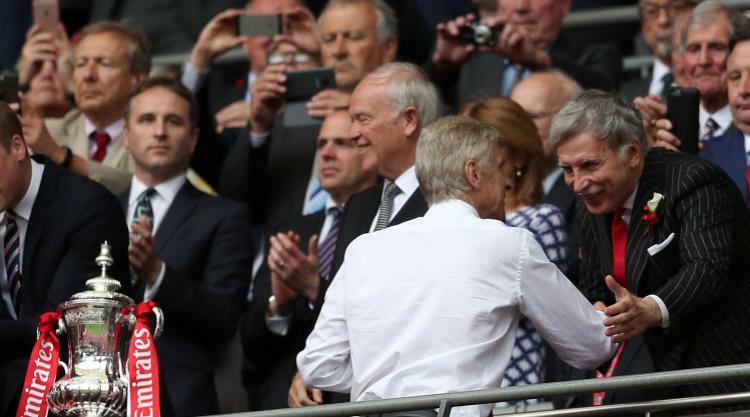 Should American Kroenke ultimately obtain Usmanov’s significant stock, then the remaining minority shareholders, which include the AST, have concerns over the possibility of Arsenal becoming a privately-owned company, so therefore not required to hold an Annual General Meeting, the next of which is set for October 26. The 2016 policy statement on the AST website reads: ” The AST continues to believe that Arsenal is too important to be owned by any one person. The best ownership model for Arsenal will always include supporters being represented and involved in the ownership structure as shareholders.